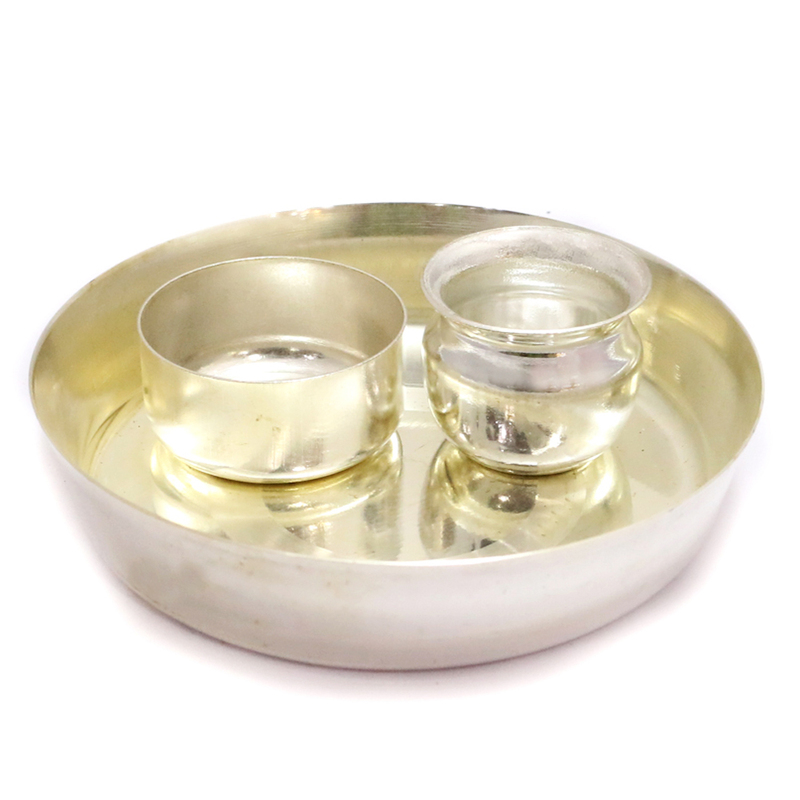 Appropriate for any puja occasions, this stainless steel puja plate is well fit with two small bowls of similar variety. 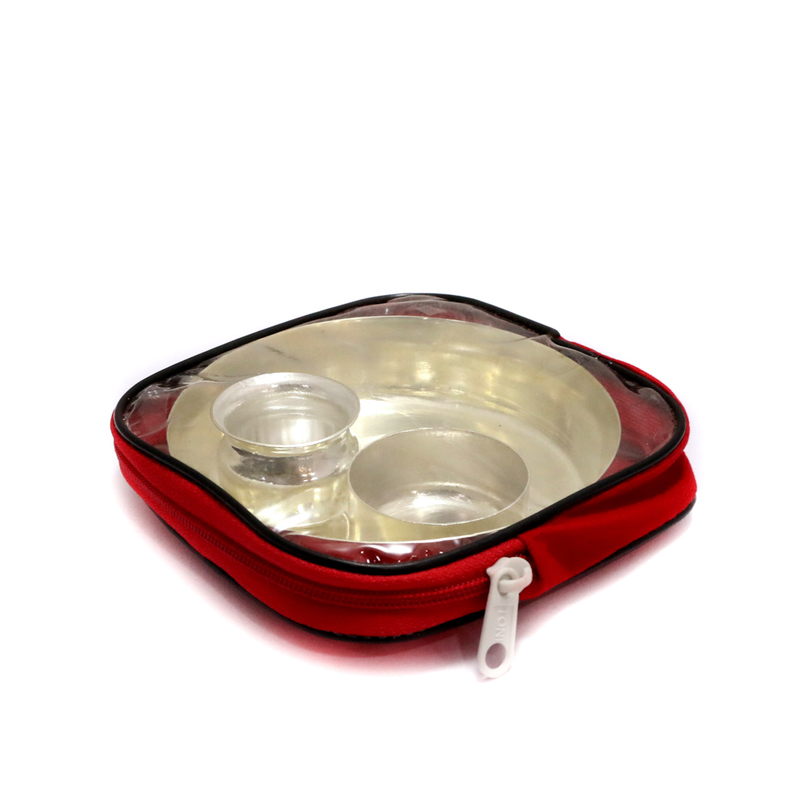 They have a hint of Read More..glory and royalty and it comes inside a small transparent pouch. These are apt for everyday purpose as well. Show Less..